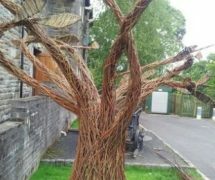 Home » News & Views » Education, Employment & Training » Willow Weaving inspires creative children this summer! 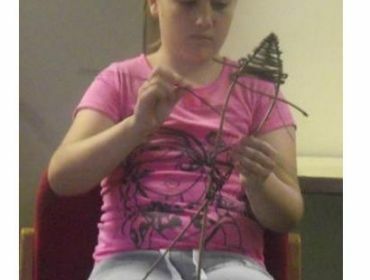 Willow Weaving inspires creative children this summer! 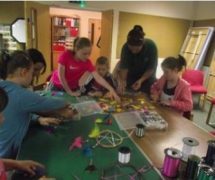 During the third week of August, a number of children aged between 8 and 11 (plus a few older ones!) 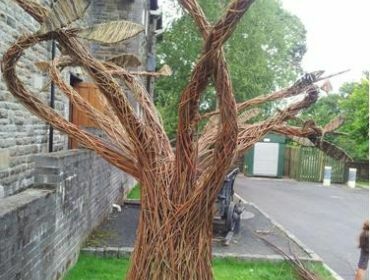 got involved with a craft with a difference – and created their own full-size tree! 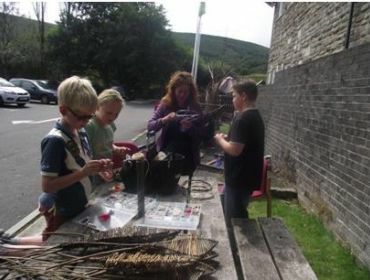 The 3-day activity was part of RCT Services for Young People’s Summer Holiday Programme, and was operated by the Environmental Education Team based at Dare Valley Country Park, Aberdare. 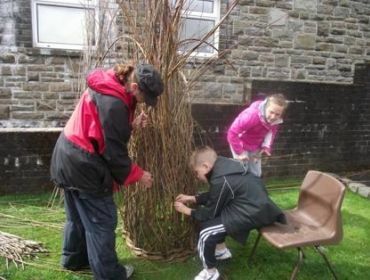 Facilitated by Mel Bastier of ‘Out to Learn Willow’ – based in Ogmore by Sea, the children all seemed to enjoy the activity, and none of them minded getting wet as the weather was generally awful – they actually chose to go out rather than stay in the dry! Emma Elliott, Environmental Education Project Officer, said: “They all produced at least one willow leaf to go on the tree, and learnt an old, traditional craft. 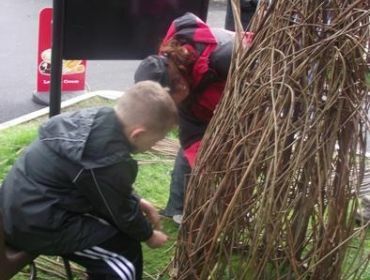 They seemed amazed by what they could do with willow. They also enjoyed making dream catchers, and once they’d finished those, their imagination ran away with them and they made fish, rabbit ears and mermaids!! 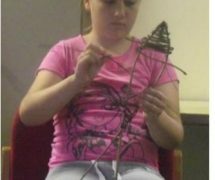 Some of the children turned up on Monday morning to do it all over again….even though there wasn’t a session planned! Pobl Ifanc Llanhari, Y Pant a Tonyrefail yn mwynhau Paint-balling heddiw! 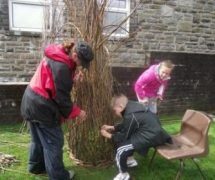 Llanhari, Y Pant and Tonyrefail young people enjoying Paint balling today! You need to login or register an account in order to book activities.